Think of it as a history-making opportunity for you to do something big about cancer, something epic. 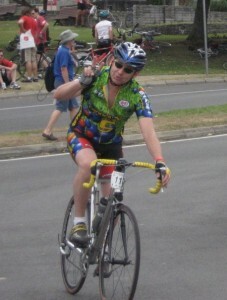 Like cycling for two days throughout the picturesque countryside of Queensland – August 20-21, 2011. Sure, it sounds like a lot… and it’s meant to be. The conquest of cancer is a monumental task and won’t be easy. But make no mistake, this event isn’t just for athletes or cycling enthusiasts. The Rio Tinto Ride to Conquer Cancer® is for anyone who wants to challenge themselves for a great cause. Even people who haven’t ridden since they were twelve. All you need is motivation, a bike, and a helmet. The rest is history. Be part of it. Why join or sponsor another rider ? 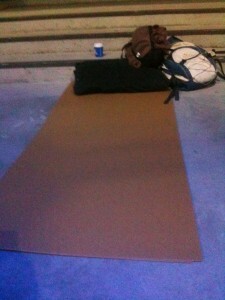 On Thursday 16th June 2011, AustRail Civil’s Paul Cartwright took on the national event challenge ‘CEO Sleepout’ where businesses and community leaders in capital cities throughout Australia experience homelessness first-hand for one night while raising important money for the St Vincent de Paul Society. 1001 CEO’s participated in the 2011 challenge, raising over $3.8 million. All money goes directly towards the ongoing provision of Vinnie’s homeless services, helping Australia’s estimated 105,000 homeless men, woman and children find warmth, safety and dignity that they desperately deserve. AustRail Civil will continue to support this cause and kindly request your support and donations in future.